How long has it been since you felt truly great? Stop for a moment and take inventory of how you feel right now. Are you feeling tired, bloated, moody, achy or spaced-out? Do you feel like your allergies or chemical sensitivities are out of control? Or are you so used to feeling "off" that it now feels normal? On a different note, have you ever thought about your lymphatic system? Or your liver? Chances are you have thought about your digestive tract, but only when it's malfunctioning. Have you considered what these organs do to maintain your health and well-being? Our body is engaged in the process of detoxification all the time. Many people think of detoxification as something we only do at specific times, but every time we exhale, every time we urinate or move our bowels we are detoxifying. Our liver, kidneys, spleen and lymphatic system are quietly working around the clock to remove toxins from our bloodstream that would otherwise build up in our tissues. All of these processes of detoxification are extremely important to our health and well-being. We live in a toxic environment: it can't be helped. We are constantly surrounded by a world filled with heavy metals, prescription medications, environmental chemicals and antibiotics. Our bodies are practically fighting to keep clean! This toxic sludge can build up in our systems quickly and sometimes overwhelm the body's detoxification pathways in the liver and lymphatic system. When this happens, hormones become imbalanced resulting in fatigue, bloating, and a spaced out feeling. There is good news, however! Holistic and alternative medicine offers methods to boost your body's natural detox functions and support its innate ability to heal itself. Detoxification can refresh, rejuvenate and energize you, as well as help to regain your mental focus and improve digestion. Detoxification can be a simple and effective way to experience a dramatic improvement in the way you feel - quickly! Detoxification procedures under the supervision of an integrative doctor can cleanse the body of excess toxins, parasites, bacteria, and other harmful substances. Most cleanses focus on the liver, the colon, or the lymphatic system, though there are whole body cleanses available. How does it work? Think of it this way: toxins buildup in the system and create "clutter" that taxes the digestive, endocrine and immune systems. Examples of toxins include heavy metals (mercury and lead are common in the U.S. - get tested! ), prescription medication, stress, chemicals, and allergens. These toxins slow your metabolism and wreak havoc with your hormones, causing a range of symptoms, like stubborn weight gain, PMS, fatigue, GI issues, joint pain and muscle aches, increased food sensitivities and mood irregularities. Stress, environmental exposure, poor exercise habits, and suboptimal nutrition begin to take their toll on most people by the time they reach their late 30's to early 40's. Cleanses and detoxification procedures may help turn down the "noise" in your body and free up your immune system to deal with other, potentially more hazardous concerns - like viruses, premature aging, or unchecked cell division. For example, a colon detox allows your upper GI tract to cleanse, rest and restore itself, which in turn boosts your liver's ability to detox efficiently. In addition, it can quiet inflammation, heals the lower gut, and increases your metabolic rate. Because everyone's biochemistry is different, multiple factors come into play in a successful cleansing plan, including your age, genetic makeup, the degree of inflammation in your body, hormonal balance (including estrogen and thyroid levels), hydration, exercise, rest - and above all, your liver's ability to detoxify. 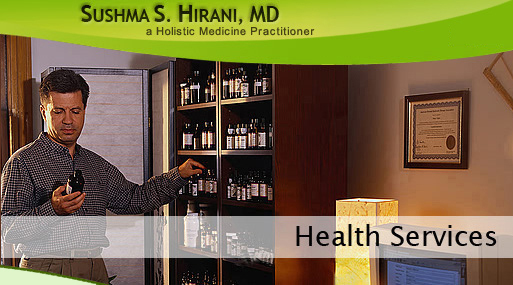 A holistic doctor will take all these things into account when recommending a cleansing procedure for you. An improved diet and nutritional supplementation	, adequate rest, balanced exercise and stress reduction techniques can undo much of the damage wrought by our modern lifestyle. But to really flush your system out you will need to identify which systems need to be cleansed, and address the problems appropriately. There are complementary techniques available in liver detox, colon cleanses and lymph detox. An integrative doctor trained in detoxification procedures can help you determine which system you need to focus on.